James has been involved with Christian broadcasting since 1989, serving with the Rhema and Star networks in New Zealand, as well as hosting programmes on a local radio station in Indonesia. He has been training and coaching in radio skills with Reach Beyond since 1999, with a special emphasis on cross-cultural situations. James’ passion is to empower and encourage broadcasters on the front line for God’s kingdom. 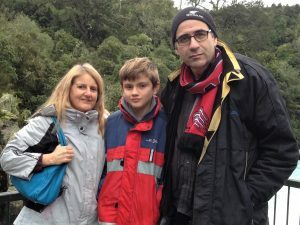 Jan is a medical receptionist at a busy South Auckland Christian practice, and is currently helping to settle a refugee family into New Zealand life. David spent 5 years growing up is Asia, while the Tottons were based there. He is a keen You Tuber (with a bigger audience than his father ever had), and is now taller than his mother. 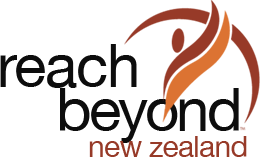 All donations are received into Reach Beyond NZ (a division of HCJB Global NZ Trust). Donations made by persons or businesses within New Zealand will be issued a tax receipt for each tax year ending 30 March.